Baby is more active and uses more diapers in daytime. 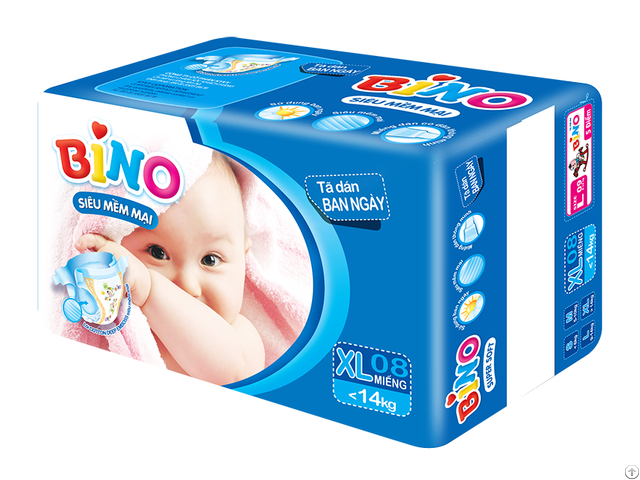 BINO for day, is an ideal products that is more ventilated for baby in daytime and help to save cost of using diapers. 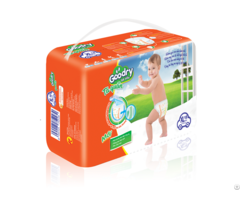 • Super absorbent core: Absorbent polymer enhance to enable urine soak into core quickly. 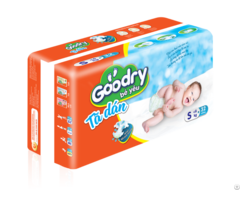 non-woven to allow to refasten several times and to be comfortable for baby in moving. 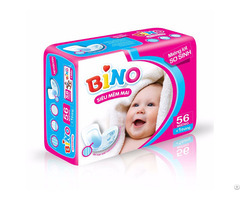 keep babys skin always dry and cool.